“What were u doing with Kelvin, Bell? u don’t still have feelings for him, do u? My head jerked in her direction. I declined. I left him there & DID NOT hug him” I concluded. Prisca thought for a while. When?” I queried, surprised & alarmed. asked men to bundle him out” she replied. Richard had received this message yesterday but did not say anything about it. get herself into this mess? Her tears flowed ceaselessly. here to hold her hands & tell her it would be alright. hope of re- union between them. More tears flowed unhindered as her heart ached. “Loretta” she heard James call behind her. furiously, through the glass barrier. Loretta also saw this & left his arms instantly. besides, he wasn’t even sure Richard would be the one to attend to the guy in question. He has so many doctors in his hospital. matter what she had done to him. Loretta followed briskly. He tried dissuading her but she was hell bent on begging Richard herself. Richard marched into the office & I was startled,Priscaalso. He should not be back by now, I thought. only one thing could have happened. I rushed to him as he sat on the couch. “What is wrong honey? Is d patient Ok?” I asked hoping that whoever it was is not dead. permanent glare on his face & I could not understand anything again. person Richard wanted to see – his mother. He was up in an instant. are u doing here?” he asked,glaring at his mum. Mr Badmus, before he changed. 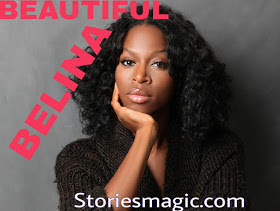 0 Response to "STORY: BEAUTIFUL BELINA (Season 2,Episode 25)"